Classic earrings that will never go out of style! 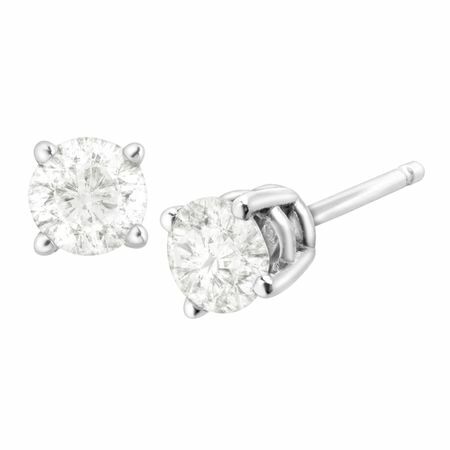 These stud earrings feature two round-cut diamonds totaling 1/2 ct and set in 10K white gold. Pieces measure 1/8 inches in diameter.